WORKING a pair of socks in mirrored colours for the legs, cuffs, heels and toes produces a fun effect! 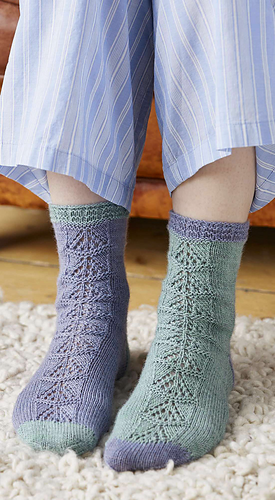 Jane Burns has used two delicate shades of Coop Knits Socks Yeah! yarn, although you could use a single colour for the entire pair, or work matching two-colour socks - in which case, you would need an extra skein of yarn. 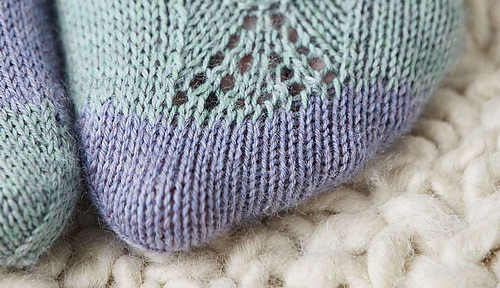 Pretty lace adds texture on the front and back of the socks.